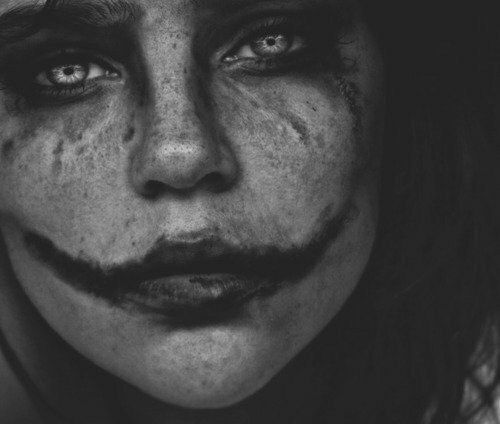 Realistic Harley Quinn. . Wallpaper and background images in the Harley Quinn club tagged: harley quinn villian sad real realistic batman make up. This is as scary as Hell. ..I love it!